Agricola Redesign | Bridal Shower Ideas for Wedding Season! Bridal Shower Ideas for Wedding Season! Wedding season is just around the corner and if you are a bride-to-be or throwing a party for a bride-to-be, then you’ll want to listen up! I hope to be attending plenty of wedding showers this season and gathering plenty memories with my son and my soon to be daughter in law! 1. Travel – host a travel-themed bridal shower for the bride-to-be in your life! You don’t need to go all out like the film Bridesmaids, but you can keep in mind the couple’s honeymoon destination while planning this themed-shower. If they’re heading off to a beach destination after the nuptials then be sure to included beach-y ideas for the shower. This can include blue beverages, a “message in a bottle” where guests can leave advice for the couple, and a “Sand Bar” where the adult beverages are located! Be sure to use beach and water-like colors in your decor as well! 2. Stock the bar – There aren’t too many things that are more relaxing than a glass of wine or whiskey after a long day at the office. 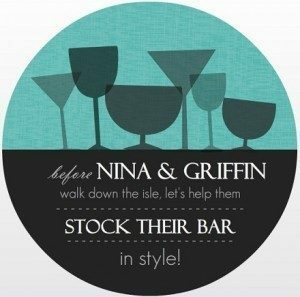 This is a great way to help the happy couple fill up their at-home bar to serve guests during the parties they’ll have as newlyweds! You can get super creative, and classy (! ), with this shower theme. 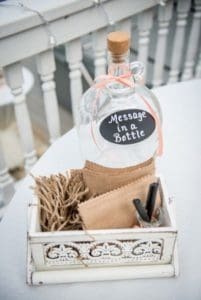 Let guests know in the invitation that they are encouraged to bring in a bottle of wine or another spirit to gift the bride-to-be. Serve cocktail-esque food at the shower – as well as cute cocktails to go along with those tasty appetizers! Have fun games like a tasting challenge, where guests can sip and try to guess the brand or name of what’s in their cup! 3. First yard supply – If the couple plans to buy a home shortly after their marriage, just purchased a home, or could use a few upgrades to their yard tools, throw them a first yard supply party! 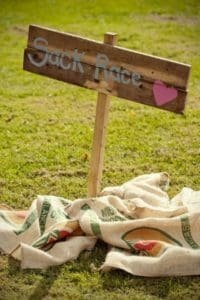 Encourage guests to bring items that will help them keep their first yard as a married couple looking in tip-top shape. Ideas for this can include rakes, a lawn mower (have a few friends throw in! ), a grill, potting soil and flower seeds, and gardening items. If you’re wondering what games to play, go for a field day look. Have potato sack races, a 50-yard dash, jump rope competition, and other games you loved playing when you were a child! To find the items you need to throw a bridal shower of any theme, visit A Village Gift Shop at 3 Village Square in Glendale. Learn more at www.agricolaredesign.com or www.avillagegift.com.